It’s not a secret that the Joovy Groove Ultralight is one of my favorite umbrella strollers. So, I was very pleased to see a new redesigned 2017/2018 model which is even better than the previous one. While weighing only 15 lbs it features a very roomy seat with a tall canopy that can accommodate even the tallest toddler. The high weight limit of 55 lbs should last you till college. LOL. The deep near-flat recline together with an adjustable leg rest offers plenty of stretch room and is suitable for a newborn. Great for long naps and quick diaper changes. BTW, not many umbrella strollers have a flat recline, so it’s a BIG plus. If you decide put a newborn directly into the seat, I do recommend using an infant insert. There is even a hidden mesh in the leg rest for a newborn as an extra safety feature which will prevent a baby from sliding out of the seat. Keep in mind, there is no travel system option. The canopy is huge and will provide full coverage. There is PLENTY of storage! Aside from a great basket underneath the seat, there is an included cup holder, mesh bottle holder, small zipper pocket in the back of the canopy, and two mesh pockets inside of the seat for your child. The lightweight aluminum frame, upgraded 6″ wheels, all-wheel suspension, and small footprint make it very easy to navigate and maneuver in tight spaces. When not needed, you can quickly fold it into a compact package and throw it over your shoulder. The adjustable carry strap, automatic lock and standing fold makes it great for traveling. Keep in mind, while you CAN put a newborn right into the seat, I would NOT buy it as your primary stroller because it’s mostly designed for flat surfaces like mall, store, or even pavement. Little babies are pretty fragile and require softer ride in the beginning. So, get a full size stroller if you are planing walking outside in the park or uneven city streets. 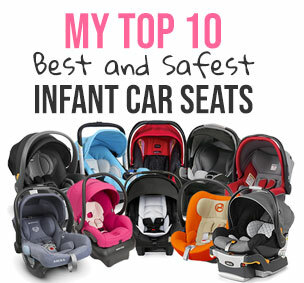 After 6 months it’s ok to put your baby into the seat since they can hold their little heads already. I gave this new model 5 out of 5 stars because while there are small things that can be improved, it has bunch of amazing features mostly found in luxury strollers, weighs only 15 lbs, and is budget friendly. What else can you ask for? BTW, there has been NO UPDATES for 2018. You can get Joovy Groove Ultralight 2017/2018 in one of the four beautiful colors for around $189 on Amazon (free shipping/free returns and no sales tax). It comes with a cup holder. I am definitely happy about the price. If I had to buy an umbrella stroller right now, I would be very torn between UPPAbaby G-Luxe and Grove Ultralight 2017/2018. The only thing that G-Luxe has over Groove is the one-hand lever recline. -Large canopy. You are all covered with this one! It features two large UPF 50+ panels that provide full coverage. There is also a large plastic peekaboo window at the top with a Velcro closure. A couple of updates that I would like to see here. First of all, it would be nice to have a mesh instead of plastic in the peekaboo window so that the air can get in. This will provide better air circulation on a hot summer day. Also, I would like to see a magnetic closure instead of noisy Velcro that can easily wake up a sleeping child. -Tall handle bars. The handle bars are very tall located at 42.5″ from the ground. This is a great height for taller parents. It also leaves plenty of leg room for long stride. -Roomy seat. The seat is 14″ wide with 18″ seat back and a measurement of 27″ from the back of the seat to the top of the canopy. This is a very tall canopy that will fit even the tallest toddler. The seat is also very wide which can get useful during winter months when kids wearing thick coats. The Ultralight 2017 model has a one-hand strap recline system that goes to near-flat position suitable for a newborn. That’s right, you can put a newborn into the seat. Now, I would suggest using an infant insert for the newborn for extra support. Just like with other strap recline systems you will need to use both hands to bring the seat back up. There are two straps that you need to pull at the same time while lifting the back of the seat up. While it’s pretty easy to do with a baby, it might take some effort with an older heavier passenger. Not my favorite recline. I would like to see lever recline instead. The seat can accommodate a child from birth and up to 55 lbs. Just like the previous model it does NOT have travel system capabilities. The fabrics got also upgraded and now are much softer to the touch and water repellent. -Safety mesh. There is a mesh cover hidden underneath the seat which can be used to prevent your little baby from sliding out of the seat. Most of the time it’s not a problem since you are using the 5-point harness, but I guess some parents wanted an extra protection so Joovy decided to add it. -Mesh seat pockets. There are two small mesh pockets inside of the seat where your child can store snacks, toys, or a sippy cup. -5 point harness. It has an adjustable non-padded 5 point harness with medium-strength-required to open buckle. I would like to see some padding added to the straps especially for a newborn. -Window in the back. Once you recline the seat, you will see a large opening in the back that will allow for better air circulation during hot summer day. If the weather gets windy, you can cover it with an attached closure. I really like this option instead of canopy being attached to the back of the seat. -Adjustable leg rest. I was very happy to see an adjustable leg rest despite the light weight of the stroller. It has two positions: up and down. -Storage pocket. There is a zipper pocket in the back of the canopy where you can store small essentials. -Mesh cup holder. INCLUDED! This is more of a bottle holder than a real cup holder. It’s really a mesh pocket that can be used for small items. I wouldn’t risk putting a cup of hot coffee in there because it might spill on your child. -Medium size basket. It’s a decent size basket for an umbrella stroller. I was able to fit a medium size diaper bag with no problem and I could even fully recline the seat. And just like on other umbrella strollers, once the seat is fully reclined, it’s very hard to access. Small items can be accessed from the sides. -Wheels. It rolls on four hard rubber wheels that are 6″ in diameter which is about average for an umbrella stroller. The wheels have been increased from the previous model. While this buggy is designed for flat surfaces it can tackle some of the grass, mulch or gravel. The front wheels are swivel, but can be locked straight. With a younger baby on board you can even maneuver it with just one hand. -All-wheel suspension. It’s always a big plus to see all-wheel suspension on umbrella model. -Parking brake. There is a foot parking brake on top of each rear wheel. You will need to lock each wheel individually. They are not flip-flop friendly, but they are so easy to unlock you CAN do it in flip flops. -Shoulder strap. They’ve added an adjustable shoulder strap to 2017 model that makes traveling much easier. -Cup holder. INCLUDED! The Joovy Groove Ultralight 2017 has not one, but two cup holder. Aside from the mesh bottle holder in the back of the canopy, it also has a plastic cup holder on the side of the frame. Love it! Before it had only the mesh one. Parents drink a LOT, so the more cup holder the better. -Velcro closure. There are really not many drawback in this model. So, I am just nitpicking. It would be nice to have a dark mesh instead of plastic in the peekaboo window. Also, I prefer a magnetic closure over noisy Velcro. -Strap recline. This recline is not my favorite. You can recline the seat with just one hand, but will need three hands to bring it back up. Both hands have to pull on the straps while the third hand will lift up the seat. Baby Gizmo has a great video review. Here is a video overview from Joovy. Joovy provides 1-year warranty from the original date of purchase and you have to be the original owner. The Groove Ultralight 2017/2018 is available in four colors: black, red, turquoise, and charcoal. All of them come with a dark grey frame. My favorite place to buy strollers and a lot of other baby items is Amazon. It usually has the lowest prices, free shipping, free returns and no sales tax. How great is that? You can get Joovy Groove Ultralight 2017/2018 in one of the four beautiful colors for around $189 on Amazon (free shipping/free returns and no sales tax). It comes with a cup holder.